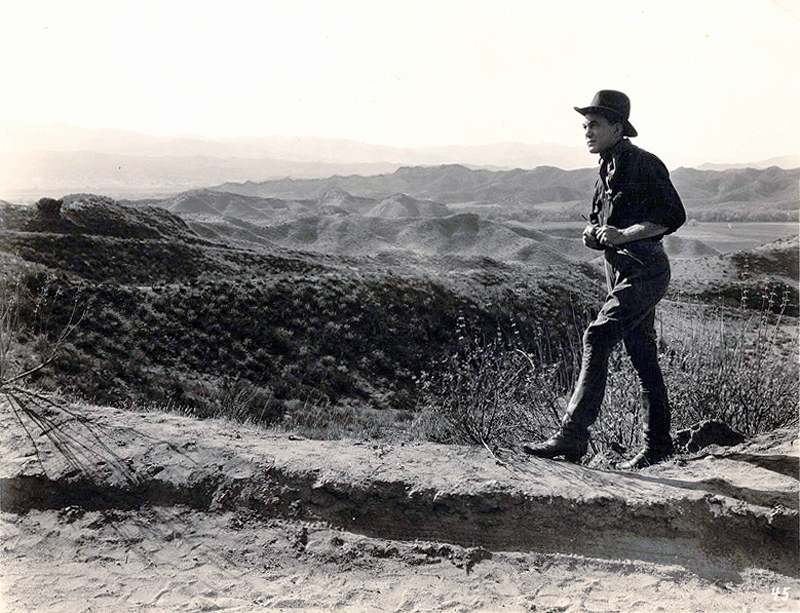 Actor Harry Carey (Sr.) strikes a pose overlooking his section of the Santa Clarita Valley. Undated photograph. DC3007: 9600 dpi jpeg from original print courtesy of Harry Carey Jr.